Portal found its beginning in popularity in 2007 when it released the first Portal game in its series. A fun puzzle game, chalk full of humor quickly stole the hearts of gamers around the world. 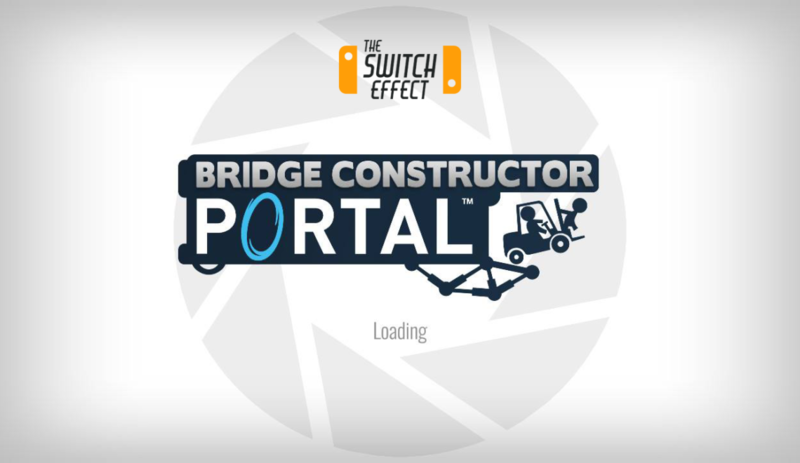 The series has been quiet for some time and now, finally, we have been graced with Bridge Constructor Portal for Nintendo Switch. A quick glance at the game, you can tell that the style is completely different to that of its predecessors. It isn’t a first person game and, in fact, plays completely different to Portal and Portal 2. 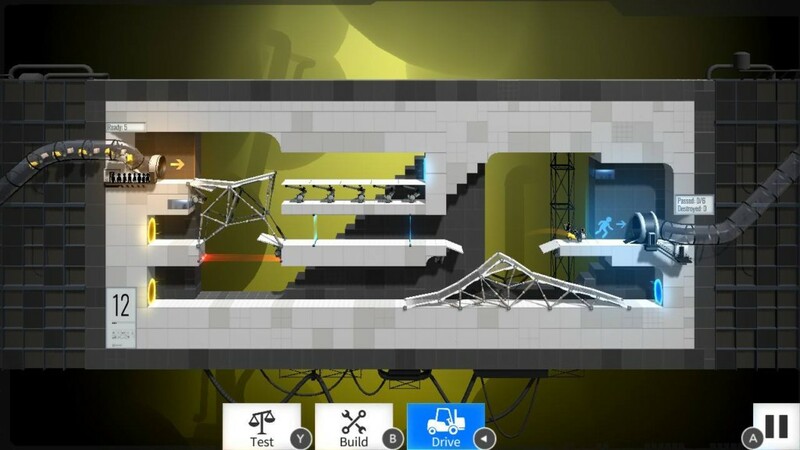 Enter the Aperture Science Enrichment Center and experience the madness and the unique merging of the classic Portal and Bridge Constructor Games. Upon loading the game, however, you are graced with some familiar humor and familiar characters. You are one person in a long line of people applying to be reassigned as Chief Custodian for the Aperture Science Vehicular Hurdling Initiative. In order to be given this new job title, you have to answer three questions…get one wrong and you are dropped in to the incinerator (talk about a hard job interview!). But fear not, there are plenty of people to replace the charred failures. Enrichment Center regulations require that all trainees pass a battery of custodial proficiency tests. Don’t worry, we’ll be securely withholding your paychecks during this probationary period. This series of test chambers will test your construction and deduction skills. Are you ready to earn your Golden Chief Custodian Hat? GLaDOS! Oh how we have missed your ridiculousness! After a brief explanation in the typical Portal fashion, you are thrown straight in to the game. “The Enrichment Center is proud to announce that our family will be notified in the event of a work fatality with no additional garnishment to your wages.” Oh, well I’m glad they’re thinking of their employees first! 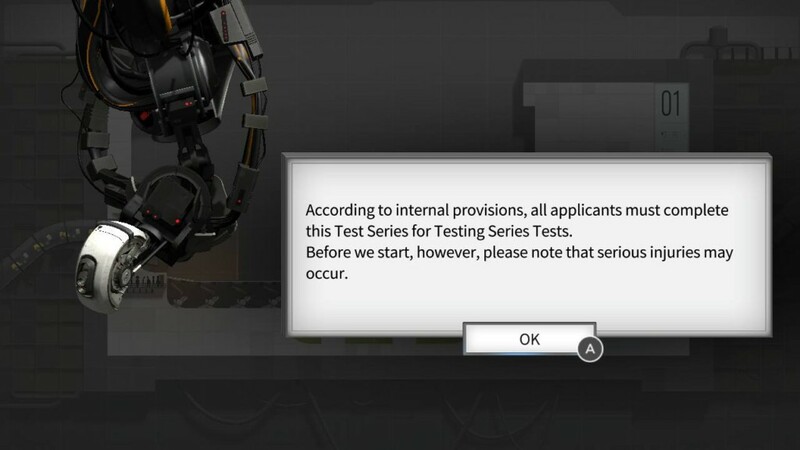 As a new employee in the Aperture Science test lab, it will be your duty to complete the 60 test chambers. The first few levels are designed to help you learn how the construction and basic mechanics work. Armed with Aperture Science Convertible Scaffold Planks, super stretchy cables, propulsion gel, repulsion gel, portals, aerial faith plates, cubes and get to work with designing bridges to help your little fork lifts get to the exit. 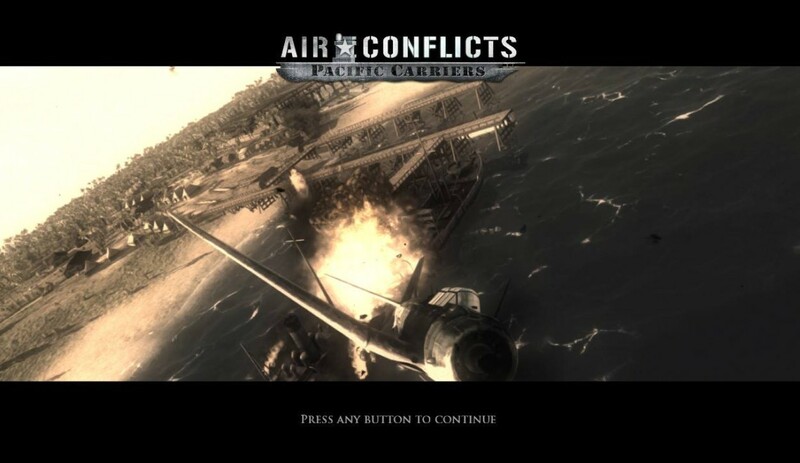 This may seem like an easy task at first but, I assure you, the levels become quite complex the further along you play. The whole premise of the game is to build bridges to get your little forklift with a few people from entry to exit through the use of roads, scaffolding and cables. At first, it’s pretty easy. Figure out how to launch your forklift at just the right angle and you’ve got it made. Then it gets a little more complicated when they introduce the portals. Some portals will take you to a path to success while others will take you to immediate death…choose wisely. Still seem easy? Good. Because it gets even more complex. Eventually you will be introduced to Sentry Turrets that will destroy your little people and forklift before they get to the exit. You must devise a plan of action to reach the exit without being blown to smithereens. What, did you think I was going to tip you off on how to beat those levels? That’s the whole fun of the game! However, this might still seem a little bit too easy for your tastes…don’t worry, because next we are introduced to catapulting, where you will have to figure out what angle to catapult your forklift to get it to the exit. If that still seems too easy, keep playing. With 60 fun and challenging levels that will test your problem solving skills and basic physics, you will inevitably be introduced to levels that can only be described as pure chaos and roller coaster. Visually, the game is stunning. 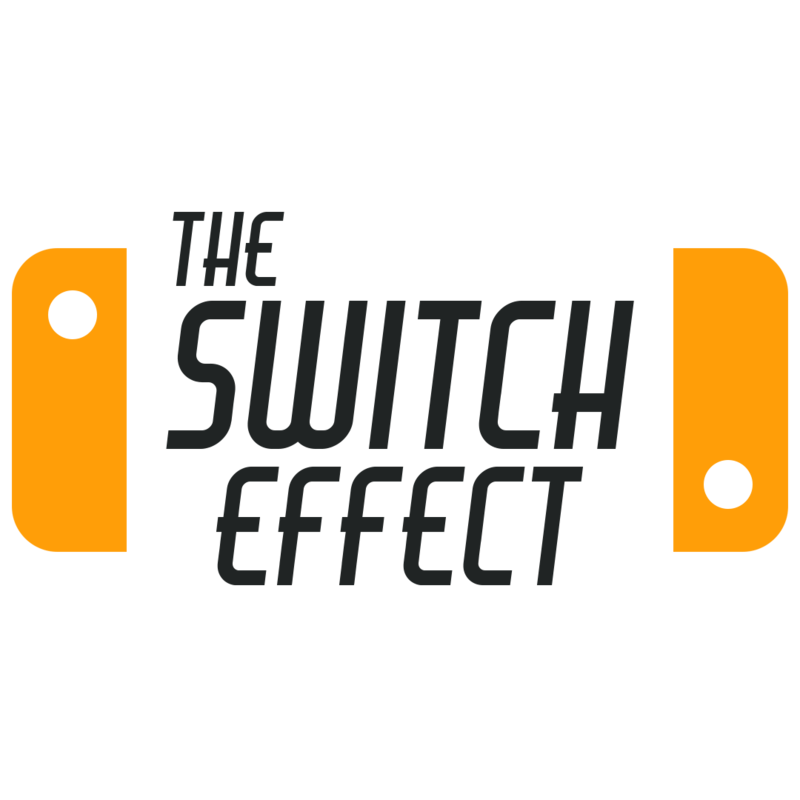 While not taking full advantage of the graphics capabilities of the switch and more adhering to the gaming standards of mobile games, the graphics are still stunning and completely appropriate to the style of game. The music is reminiscent of the Portal games and let Ellen McLain, the original voice of GLaDOS, guide you through the tutorial and help you learn the best practices that make a true Aperture Science Employee. My major issue with the game, however, are the mechanics. While all of the tools make sense, I found it a bit awkward to figure out how to smoothly create my roads. Using the joy sticks to move my scaffolding around, often I had to continuously flick it back and forth to get it to stick to the grid points to make a proper bridge. I felt that if it were designed more to “magnetize” to the closest grid point, it would run a bit smoother. In addition, since the game can also be played using the touch screen, moving my points and scaffolding around using my finger didn’t seem quite accurate. I was able to adapt where I was touching to get the results that I wanted, but it was a little bit irritating to touch the point that I wanted only to have the scaffolding be placed nearly a half centimeter from where I touched. Overall, though, this game is excellent and is extremely entertaining. When I think of the Portal series, I think of GLaDOS and the Aperture Science humor, and I was far from let down in terms of humor. I am registering an increased heart rate and galvanic skin response, obviously due to the fact that you are not able to tell which portal will lead the vehicles into the lethal deadlock. To compensate for your lack of clairvoyant abilities, we will alter the portal’s spectral radiance. 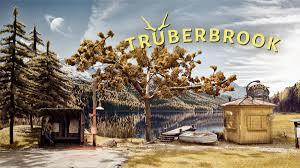 If nothing else, playing through this game just for the hilarious commentary would be worth the money. 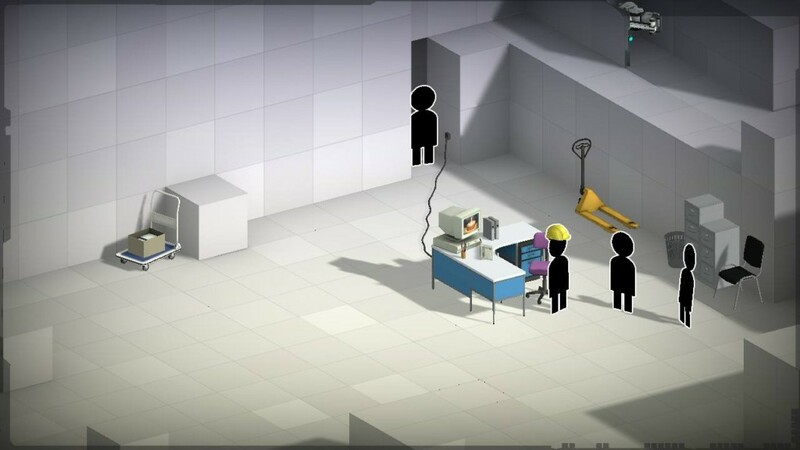 However, I think it was a genius move to merge the Portal and Bridge Constructor games together to wet our mouths with Aperture Science all over again. Could this…possibly…mean that there may be a Portal 3 coming out? Or even a Portal and Portal 2 port coming to Nintendo Switch? I would be equally happy with either. And yes, that is complete speculation and rumor. Let us know in the comments below what you thought of the game! Also, let us know if you would be A+ for a full Portal game on Switch!